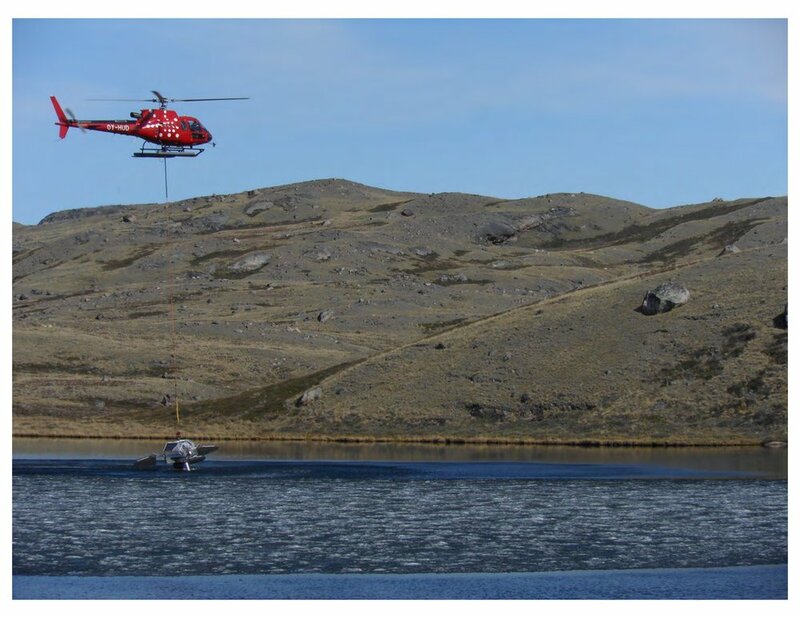 Ecologist Jasmine Saros (University of Maine, Orono) and her team of researchers are studying diatoms in lakes in southwestern Greenland to understand how climate change is affecting this Arctic ecosystem. Diatoms are a type of algae that responds rapidly to environmental change and leaves a fossil in lake sediments. Part of the research involves the use of a SolarBee, an instrument that causes mixing in water layers. 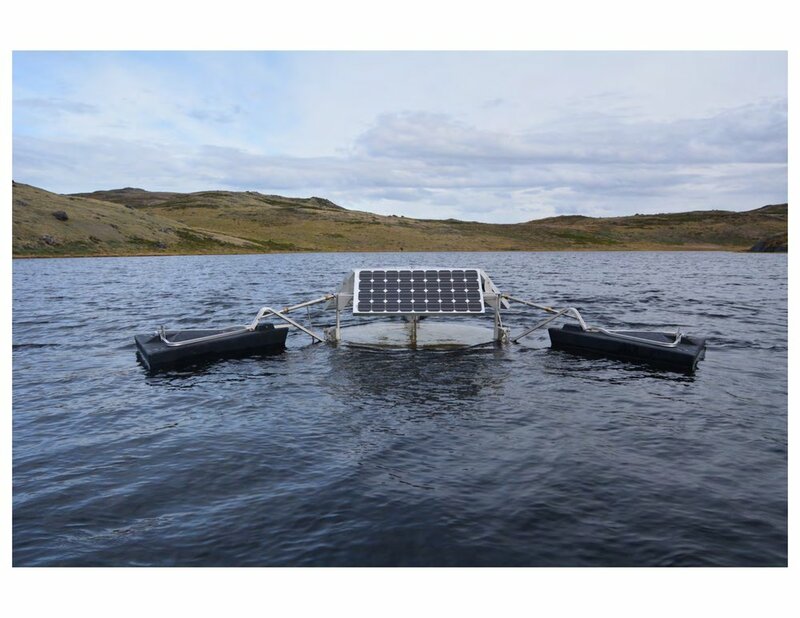 The SolarBee reintroduces oxygen into the water and breaks up layers that are formed in the spring, when increased solar exposure results in an increase in algae growth. Recently, Saros’s team traveled to Greenland to conduct some SolarBee maintenance and sent back these pictures from the field. A helicopter lifts the SolarBee so researchers can examine the instrument. After an examination and maintenance, the SolarBee was ready to be placed back in the water. An aerial view of one lake included in Soros's study. She is studying diatoms for insights into environmental change in the Arctic.